The Pirates were connected to Baz as early as late April. The current front office has been leery of using early picks on prep pitchers; prior to 2017, Jameson Taillon was they only one they’d drafted in round one. Baz, however, features potentially dominant stuff, with a five-pitch selection and plus velocity. He was sitting 92-96 MPH prior to the draft, reportedly touching 100 MPH, coming from a 6’3″ frame that still has room to fill out. His fastball has some sink to it and late run. His slider is another plus pitch, with some observers calling it the best breaking ball among prep pitchers in the draft. He also throws a high-80s cutter that’s gotten very good results and a curveball with plus potential. Baz rounds out his arsenal with an average changeup. He has a clean delivery, which allows him to throw a lot of strikes, but he can occasionally fall in love with his secondary pitches. He’s a very athletic player who also excelled with the bat. 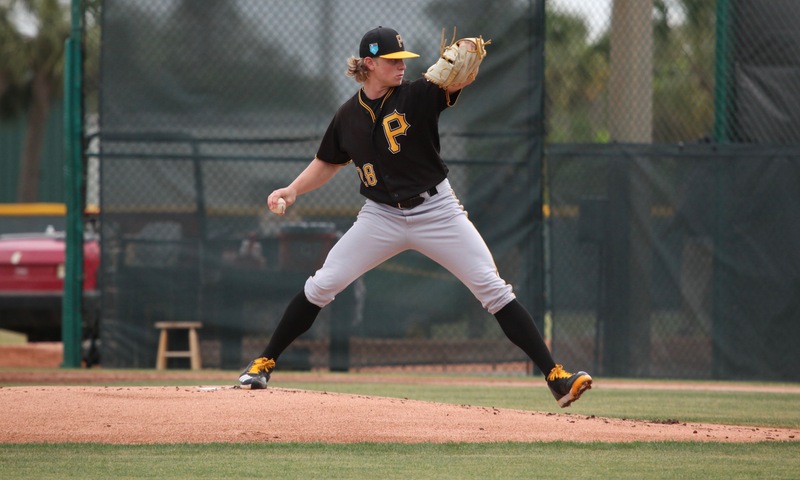 Baz had a strong commitment to Texas Christian University and was expected to be difficult to sign, but he signed quickly with the Pirates for $68,000 over the slot amount. Baz didn’t put up great numbers in his debut, especially the walk rate. A lot of the damage, though, came in two bad starts in which he gave up seven of the ten earned runs he allowed. Baz was expected to go to West Virginia early in his first full season, as Jameson Taillon did. He had control problems in extended spring training, though, and the Pirates decided to send him to Bristol instead. Just the same, he has a very high ceiling. June 12, 2017: Drafted by the Pittsburgh Pirates in the 1st round, 12th overall pick; signed on June 16.